Robot Academy is about developing skills for the future. 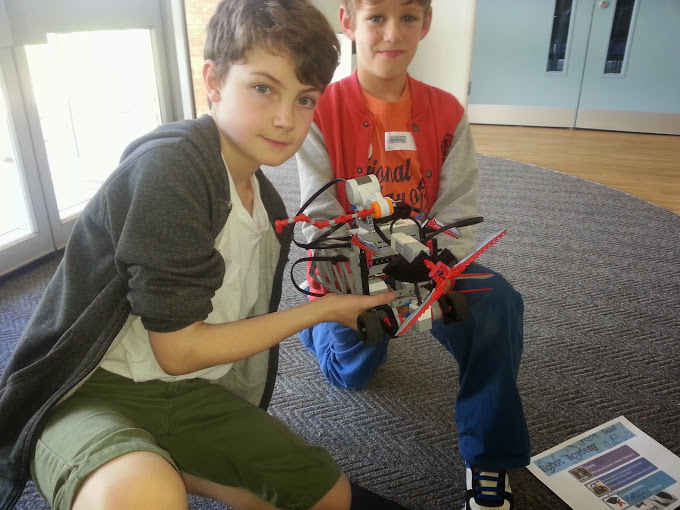 You will gain great engineering skills which will enable you to create fantastic robots. Your programming skills will develop from beginner to university level. At heart we are all makers. This is a place where students become makers and discover the world of technology. The act of making will bring all your skills and knowledge together. The most important aspect of the courses is to have fun! The courses are based around teamwork, challenges and competitions. There is a real sense of laughter and achievement. 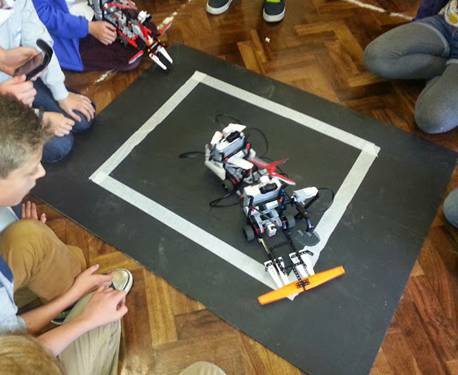 6000 Students in the UK get into Robotics! Robot Academy has rolled out robotic education to 6000 students over the last year. This has been achieved through our workshops and innovative robotic challenge program. The assemblies and challenge project is presently on hold awaiting funding. We hope to be active shortly with the next exciting episode in robotic education - so keep an eye on our site and mail outs. The summer workshops produced some excellent projects. 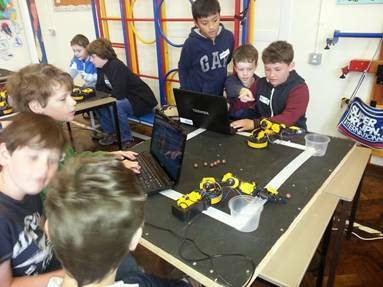 A group of students from Cheltenham aged 9 - 14 completed a project to build a robotic hand and Rubic' cube solver. Well Done!! We had such a brilliant time on the Robot Olympics this Summer. 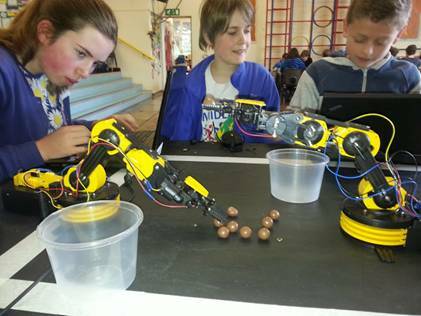 The students started off controlling robotic arms, competing to see who could pick up the most Maltesers. Needless to say the students were highly motivated. We then moved on to Football, but not as we know it. 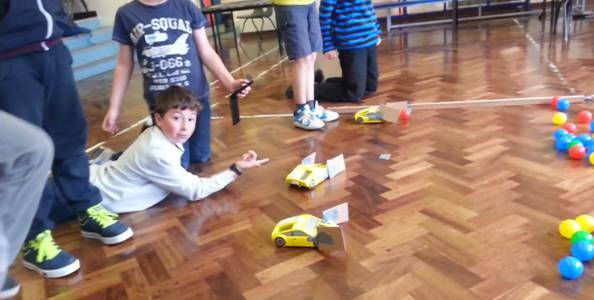 The students programmed the robotic cars to collect balls and shunt them into the opponent’s side. Strategy and the best programs won over brute force on the day. Then the real hard stuff began. The students designed and built their own Sumo Robots. This used the state of the art EV3 Mindstorm system. They programmed them to respond to sensors, drive autonomously and hammer each other into oblivion!! !